Chargebee’s API lets you dynamically vault a card with a specific gateway of your choice. 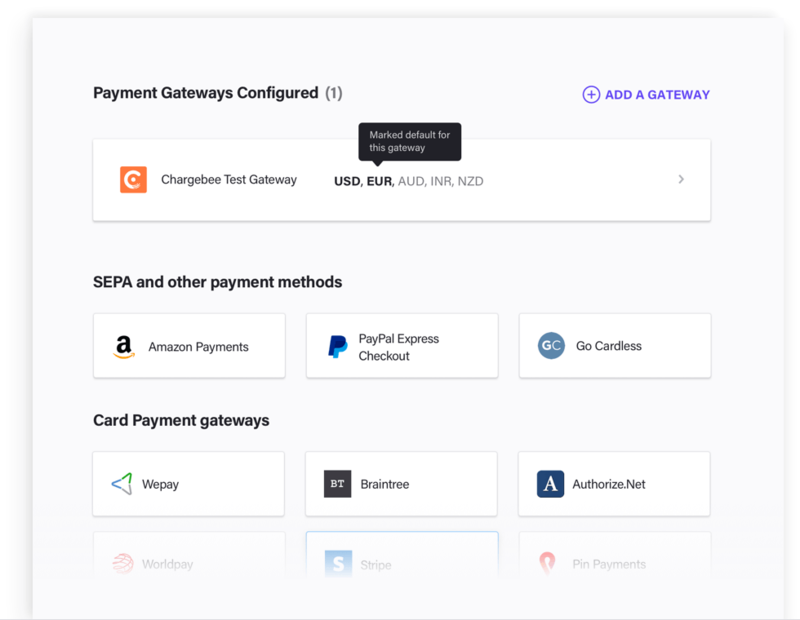 Just configure multiple gateways, associate customer card with the gateway and let Chargebee handle the rest! Accept payments in multiple currencies, without much additional development effort. Customers love it when you choose to listen to their preferences and show intent to want to do business in their currency. 61% of global transactions are non-card based. 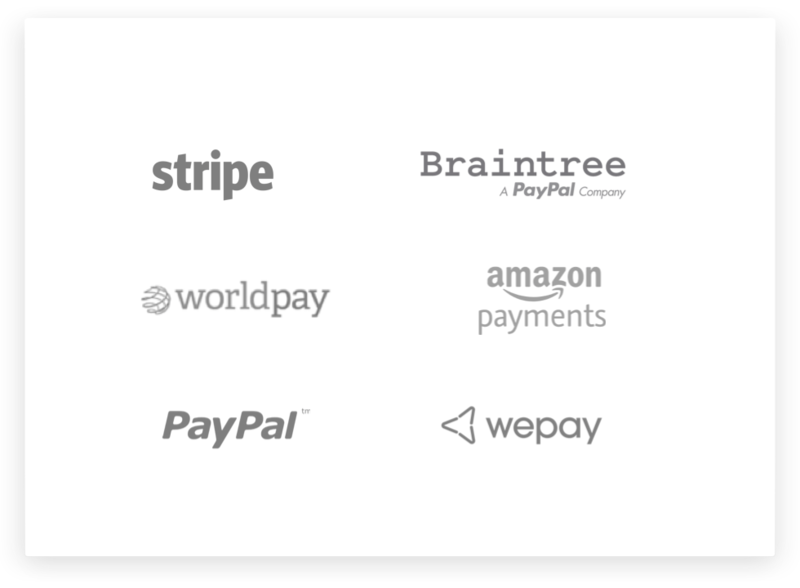 With Chargebee you can accept cards, ACH, PayPal, Amazon etc., And we are adding more options. Chargebee ensures that the entire experience is seamless across payment methods. Every lost customer in recurring revenue equals loss of revenue opportunity over their lifetime (LTV). You can set up multiple gateways and switch in seconds to avoid any failures at the time of customer onboarding. Supporting over 480+ billing use cases, keep your growth on track and scale your subscription business faster with Chargebee. Handle recurring payments seamlessly with Chargebee. 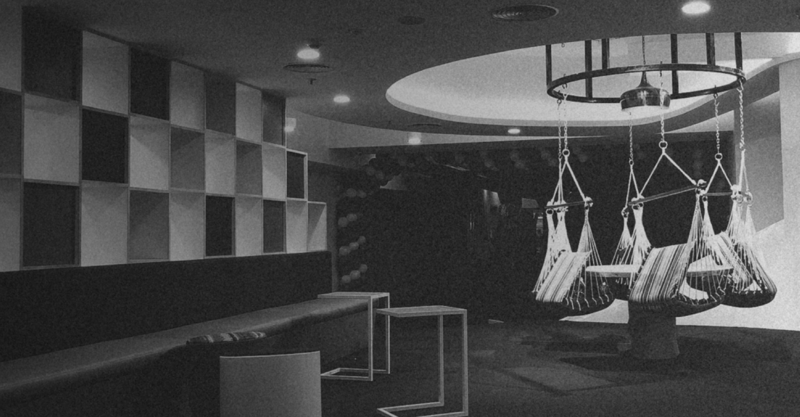 Get started in one go.